John j. Cuvo, 73, of Palmer Township died Sunday, October 30, 2011 in Easton Hospital after being stricken at home. 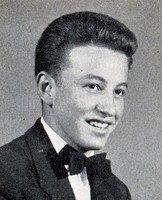 Born: June 10, 1938 in Easton, he was a son of the late Joseph and Rose Caleca Cuvo. Personal: he and his wife, the former Jacquelyn A. “Jackie” Swick were married 52 years. He graduated from Easton High School in 1956 and served in the National Guard. He was a self-employed barber in Wilson Borough and was an avid hunter, fisherman and Eagles fan.John was a devoted husband, father and grandfather and enjoyed following his family’s wrestling wrestling and cross-country events. Survivors: wife, Jackie; two daughters, Kelly Curto and her husband, Francesco of Palmer Township and Bobby-Jo Powell and her husband, Steven of Moore Township; three sons, John Cuvo and his wife Carol, Joseph Cuvo and his wife, Melody and Jack Cuvo all of Palmer Township; a sister, Marie Nolasco and her husband Patrick of Wilson Borough; eight grandchildren and three step-grandchildren. Services: 11 a.m. Thursday in the Aston Funeral Home, 1337 Northampton Street, Easton. Call on Wednesday from 6 t0 8 p.m. in the funeral home.